I went to see Through A Glass Darkly last night, knowing next to nothing about Ingmar Bergman. It didn’t matter, I still really enjoyed it. Wonderful performances and a dark, creepy story. 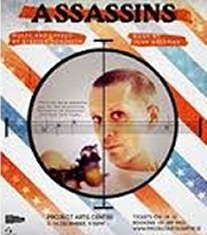 I wondered how a film adaptation would look onstage, but I found it very theatrical. It still felt like a Corn Exchange show. There was beautiful movement and a precision and clarity to each character and every scene. I also really liked the scene changes, which must be one of the hardest things to adapt from film to stage! It runs until December 5th and it’s really worth seeing. Tickets available from Project Arts Centre. Tomorrow (Thursday 26th) I’m going to see Elizabeth Gilbert in conversation with Roisin Ingle in the Liberty Hall, a venue I really like but don’t get the opportunity to visit that often. Gilbert has a new book out called Big Magic: Creative Living Beyond Fear with a brilliant, colourful cover! You might have seen her Ted talk about the genie in the house, which I think explores similar territory. It’s a book about how everyone is creative and how we should use that in everyday life. I think, I haven’t read it yet, though I do really like this review in the Irish Times by Anna Carey. I think it will be an interesting evening. There might still be tickets available here. Rough Magic’s SEEDS is a development programme for writers, composers, directors and designers. The programme lasts two years and at the end, the SEEDS showcase there work. Over the next two weeks, you can see the work of these up-and-coming artists in Project Arts Centre, in three shows and a rehearsed reading. An eerie trailer park epic about a fierce mother-daughter bond spoken and sung by three women. With an ensemble of ten performers, Enjoy takes you inside the minds of a lost generation of 20-something part-time workers in a comic book café. An exciting new collaboration between Composer/Sound Designer SEED Danny Forde and choreographer Aisling McCormick. Employing music and dance, Unspoken seeks dialogue amid potential conflict, exploring the body as it divides and unites; provokes and resolves. What happens when the dream comes true, when a radical, charismatic leader from the left is within reach of government? What compromises does she need to negotiate? Set in 2026 and 2016, Traitor looks at the journey from activism to politics. A rehearsed reading of a new play by Shane Mac an Bhaird. While #WakingTheFeminists has been encouraging Irish theatre makers to speak out about sexism (and new testimonies are being added to the website all the time), this New York Times article was shared all over the place last week – The Women of Hollywood Speak Out. It’s about sexism in Hollywood, as experienced by female executives, writers and directors and lots of people working in tv as well. The stories are similar and shows that it’s not just Ireland and it’s not just theatre. Hopefully speaking out about this ingrained sexism is the first step to dismantling it. I’ve been doing pilates in My Wellbeing on Dame Street for the last three months, and really enjoying it. I feels like it’s good for my brain and my body. It makes me feel more connected with my body, more present. It’s a Beginners and Improvers class on Monday evening, which I also like because it’s something to look forward to at the beginning of each week and something to help get me through Mondays. It’s a relaxed, friendly class and it doesn’t feel like you’re working too hard, but I still see myself getting stronger week by week, which I love. I would definitely recommend it to anyone who wants to try pilates. Suzanne is running a mini-term between now and Christmas and you can sign up for three classes for €25. One final post about the Edinburgh Festival before it wraps up this weekend. It’s really about after the festival anyway. Here are three Irish shows that are going down a storm in Edinburgh and where you can see them in Ireland. How To Keep An Alien is getting rave reviews in Edinburgh, as it did in last year’s Dublin Fringe where it sold out before I got a chance to see it! 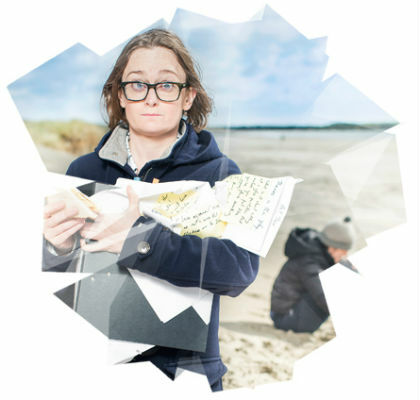 Sonya Kelly’s show about getting a visa for her Australian girlfriend so she could stay in Ireland has been described as “full of lovely surreal detail and laugh-out-loud wit” and I’m looking forward to seeing it before the end of the year. I have no excuse for missing it again because it will be on all over Ireland in the autumn. There are currently 25 venues in Ireland listed on the Rough Magic website, and one in Paris! Find your nearest venue here. 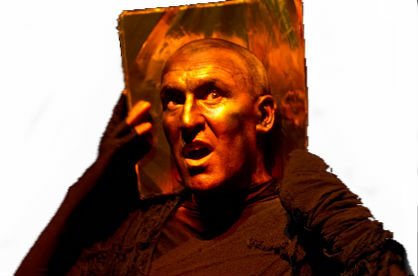 Pat Kinevane’s show Underneath has got five star reviews, a Fringe First award and a Total Theatre nomination. 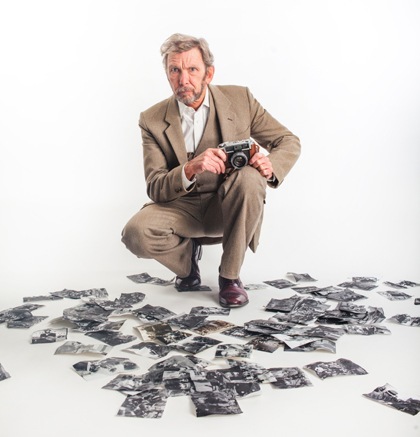 Pat is an utterly engaging performer and his shows are a wonderful balance of funny and sad. I haven’t seen Underneath yet, and again that’s something I intend to rectify before the end of the year. It’s touring to Portumna, Cliften, Carrick on Shannon, Dun Laoghaire, Cork, Ennis and Thurles before the end of the year. Full list of tour dates here. If you’ve seen Silent, you know that you will be in for a treat. And if you haven’t seen Silent, you can fix this by going along to Catherine’s Street Church, Thomas Street on Sept 17th. Tickets are €25.00 euro and all proceeds will go to Sophia Housing to help end homelessness. Tickets are available here. It will be a great evening’s entertainment for a very good cause. Corn Exchange’s adaptation of Eimear McBride’s award winning novel A Girl is a Half Formed Thing is also having a great run at the Edinburgh Festival. Last week it won the Amnesty International’s Freedom of Expression Award 2015. As far as I know there isn’t any more Irish dates scheduled at the moment, but you can buy the playscript from Faber here. Last week was all about returning favourites and this week it’s about new work that will be staged over the next few weeks and months. Leper + Chip isn’t brand new, it had a very successful run at Theatre Upstairs last year but it has now transferred to the Project Arts Centre. The run finishes tomorrow and is sold out, which is brilliant for a new play from a young writer and frustrating for the last minute theatre booker. However it’s always worth looking for returns, particularly for the matinee on Saturday afternoon which will be followed by a discussion on New Writing in Contemporary Dublin. Leper + Chip was first performed in Theatre Upstairs where you can see world premiers of brand new writing almost every week, for a very reasonable price. Their next show The Swing, opens on Tuesday. Fishamble: The New Play Company are also one of the go to places for new writing and they are currently on tour with Underneath, written and performed by Pat Kinevane. This was first performed at the end of last year as part of the Limerick City of Culture programme. Any one who has seen Silent or Forgotten will know that a new Pat Kinevane play is an exciting prospect and it is on tour all over the country, from now until the beginning of July. All the dates are here. Rough Magic’s Everything Between Us may be more “new to me” than brand new because it has already won the Meyer-Whitworth Award and the Stewart Parker Trust BBC Radio Drama Award. I’m not familiar with the playwright David Ireland; he is making his Dublin debut with this play. It opens in Project next Wednesday and runs until the end of February. Rough Magic are running a series of panel discussions along side the play, as well as offering a limited number of €10 to those under 30. The panel discussions are free but ticketed. The Abbey seem to have a lot more planned for the Peacock stage this year, including a new play by Owen McCaffery who wrote the award winning Quietly. Death of a Comedian is on in March. It’s about a stand-up comedian played by Brian Doherty, who I remember fondly as a bitter and twisted comedy writer in Anthony Neilson’s God in Ruins. I saw that bleak Christmas show seven years ago and still remember his fantastic performance, amongst a wonderful ensemble cast. If you want to give it a try yourself, the Irish Writers Centre is running a course called Playwriting: Writing Towards First Production with Michelle Read who wrote one of the 24 Hour Plays last weekend. It’s for writers with some experience of theatre writing, rather than complete beginners. It starts on Tuesday 10 February, so if you want to sign up, do it now! Fishamble will be running courses in the spring for complete beginners; more details here.